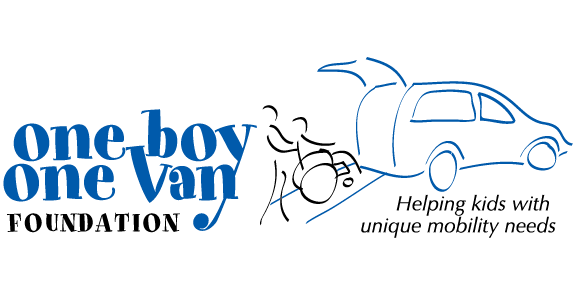 As a valued supporter of the One Boy One Van Foundation (OBOVF), I wish to notify you that the Board has agreed to dissolve the Foundation, effective March 31, 2018. While this was an incredibly difficult decision to make, it was duly considered and discussed at length. As members of this small grassroots organization, we are very proud of the work the Foundation has done to highlight the transportation challenges faced by medically fragile children. In the past 10 years, we have granted more than $103,000 to 43 children for the purchase of wheelchair accessible vans. Our ability to help these children would not have been possible without your generous support, and for that we are deeply grateful. On a personal note, I would like to offer my eternal thanks and gratitude for the love and kindness extended first to Geordi, and then to the OBOVF children who came after him. In his short time on this earth, Geordi showed us how the power of one can indeed make a difference in the lives of many. I plan to continue his legacy by giving back to the Ottawa community and its special needs families in other meaningful ways. There are still families caring for medically fragile children who require financial support to make their day to day lives easier. Should you wish to continue to help these children, organizations that would benefit from your assistance and that we know share similar values to our own include Jennifer Ashleigh Children’s Charity, March of Dimes, Easter Seals, Make-A-Wish Eastern Ontario, and Children’s Wish Foundation of Canada. Thank you for all you have done. Like Geordi, you have truly contributed to the lives of many.